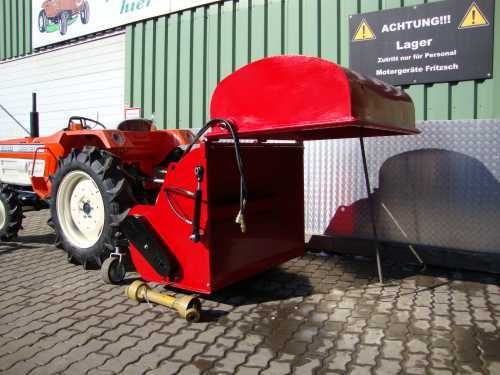 The small tractor should have a rear three-point hitch KAT0 and KATI, a standard PTO clockwise with 540rpm. 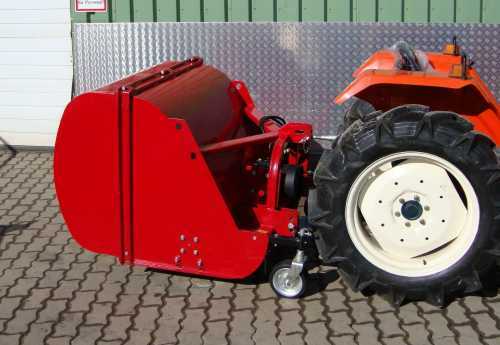 This flail mower is suitable for tractors from 28 PS. At high grass it is safer to go with the 1st gear, then the small tractor is not overloaded. 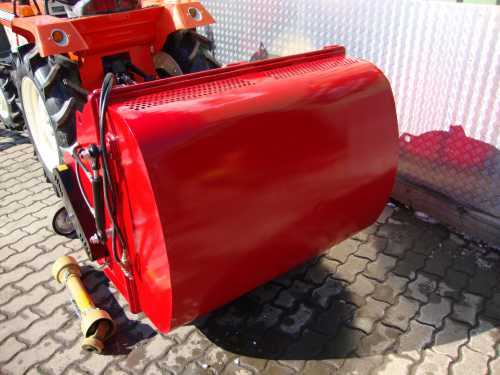 The flail mower is equipped with hardened cup knives. The knives have a long service life and can be easily sharpened with an angle grinder. The steel housing is 4mm thick outside. The gearbox is fitted as standard with a freewheeling, thus the knife shaft run out when the drive is switched off. By means of a double acting hydraulic cylinder can be opened and closed the tailgate. 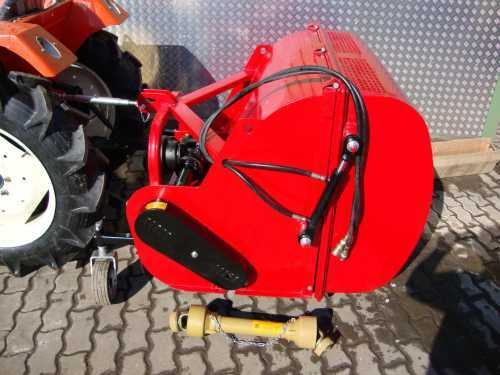 For this purpose, a double-acting control valve must be present on the tractor or be still attached. The 36 mounted cup knives guarantee a clean cut. The two front support wheels are not adjustable. 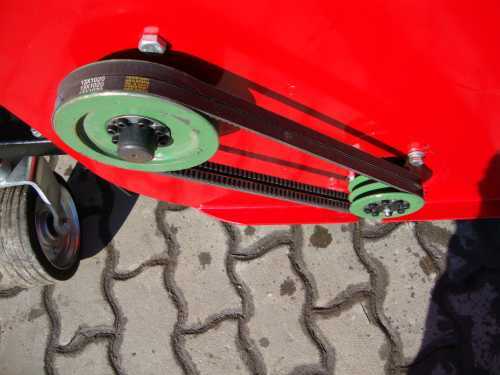 But it is a steel roller installed at the rear that is two times height-adjustable. The real cutting height is infinitely adjustable by adjusting the top link. 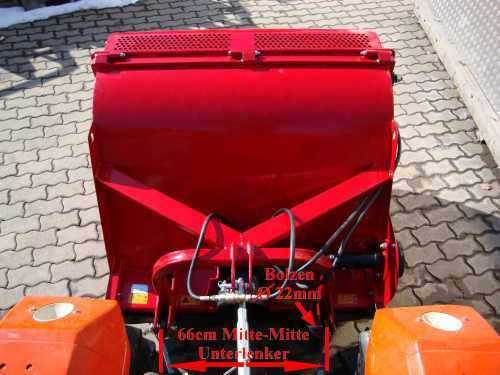 In standard scope of delivery, the PTO, the hydraulic cylinder for the rear discharge and hose set are included. The rubber lip prevents the escape of stones.